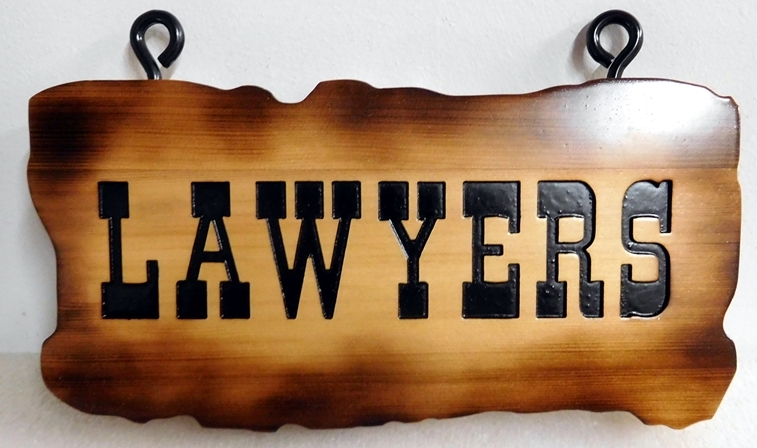 Above is a CNC router carved Cedar wood sign, "LAWYERS," as it might have appeared in a town of the Old West. It's rustic appearance arises from the look of a hand-carved, scorched edge, Cedar wood sign with use of an old-fashioned, highly readable font and and metal, eye socket type attachments. The sign was twice coated with highest-quality Matthews clear coat for added protection from weather and UV fading.